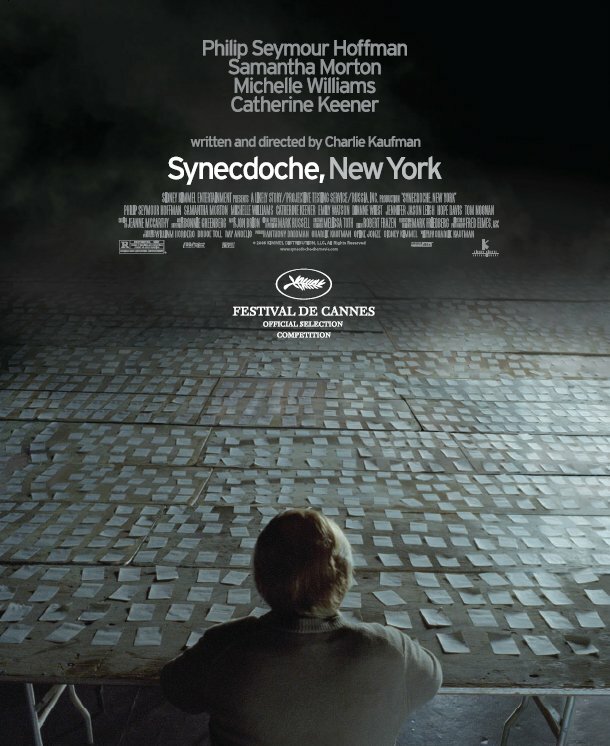 I’m a big, big fan of Charlie Kauffman, writer of such incredible recent films as Adaptation and Eternal Sunshine of the Spotless Mind, and I’m really looking forward to his directorial debut, Synecdoche, New York, even tough the reviews so far haven’t been exactly splendid. So when I read that there was a poster out I immediately clicked over to Ioncinema to look at it, fully expecting to find something impossible to comprehend. And indeed, I’m not too sure what’s going one in the photo for this poster. I could make a couple of guesses, based on what I know about the film, but nothing solid. And yet, I’m a little disappointed. I was expecting something not simply hard to understand, I expected something intriguing, something that would look amazing even tough I don’t understand it. Instead we get a dreary, gray image that makes this looks like a hard slog of a film. And in top of that it has a certain art film poster aesthetic that I have come to dislike, because it seems intent in trying to make the films look as mundane and bleak as possible. And you know what? Art films at their best are wonderful and inspiring, and there is nothing wrong with letting that magic and excitement come through in the poster.